What came first, the scientist or the manager? If Sylvie Sakata, Sr. Director, External Research Solutions (ERS) for Pfizer had to pick one for overseeing outsourcing relationships, it would be the former. She’s her own prime example. With a Ph.D. and years working in process research, a subtle mid-career redirection towards medicinal chemistry, and a gradual expansion of team leadership roles, she’s become that scientist turned alliance leader – many times over. 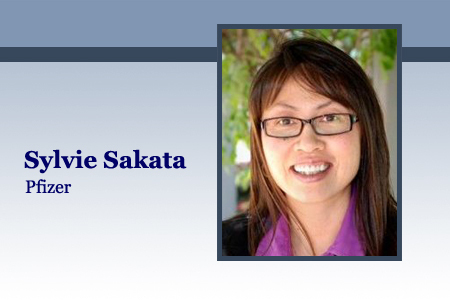 Today Sakata leads the ERS La Jolla-based group, which is responsible for both biology and chemistry services in the pre-clinical outsourcing space for Pfizer research units. She works globally across matrixed and multidisciplinary teams, and is a part of leadership that supports externalization strategies for Pfizer’s R&D. Sakata has received a number of recognitions for research externalization, and has over 15 years expertise in CRO management. And she’s willing to share best practices with the Outsourced Pharma community. Sakata has seen firsthand the escalation of outsourcing throughout the biopharma industry. She started at biotech Agouron Pharmaceuticals Inc., moved to Warner-Lambert when Agouron was acquired in 1999, and then on to Pfizer with its acquisition of Warner-Lambert the following year. Along the way she’s witnessed many scientists doubling as overall outsourcing managers, including her. But, she says, biotechs and other industry start-ups should learn what is now understood at most Big Pharma: While an internal scientist working with counterparts at CROs may someday become an alliance manager, blending the two roles is not the preferred path. Project scientists should concentrate on the day-to-day advancement of individual projects, and leave the larger alliance management to those devoted to that oversight. “You start to see consistency gaps in execution,” says Sakata, commenting on project scientists also overseeing relationships. These gaps appear in everything from contract negotiation to the productivity of the individual services that are outsourced. The consequences? One is external: “Partners like consistency; it makes it easier for them to operate. They ask, ‘Why isn’t a particular process in this group’s contract when it is in your other group’s? One group is saying this and another is saying that.” Another consequence is an internal loss of economies of scale in logistics, procurement, and even the ability to take advantage of enabling IT tools for consistent communication. These and other inefficiencies lead to project delays, and the need for additional human resources. Pfizer was determined to create an improved alliance infrastructure for CROs when Sakata joined in 1998. It started to concentrate specifically on “alliance management roles,” and created groups such as External Research Solutions. According to Sakata, the gaps and inconsistencies she mentions above were soon reduced. Measurement tools were created to better understand goals, and verify they were being met. Therefore, effective alliance managers possessing an underlying scientific fortitude allow for the growth of outsourcing, without a corresponding growth in the number of alliances. 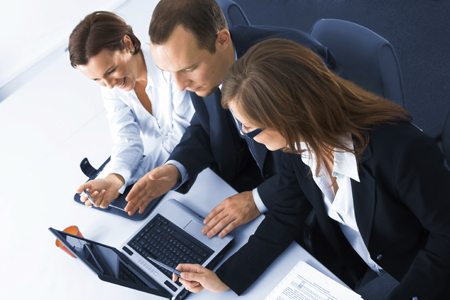 These managers also help in the selection of new providers when technologies and projects dictate that need. Sakata reminds us, though, that before a training process starts, there is at least some level of recognizable inclination, or inherent talent, for leadership and communication.